This hotel enjoys a stunning setting in Casablanca, ideally situated amidst a host of attractions and points of interest. Guests will find themselves just a short drive away from Anfa and Maarif, and within minutes of the vibrant city centre. The hotel is situated within walking distance of a number of lively bars, delightful dining options, exciting entertainment venues and shopping opportunities. This charming hotel combines traditional style with modern amenities. The guest rooms are elegant and spacious, decorated with rich fabrics and enchanting hues. Guests will appreciate the facilities and services that this endearing hotel has to offer. This charming hotel is located in the city centre of Casablanca, within easy walking distance to many major attractions and shopping venues. 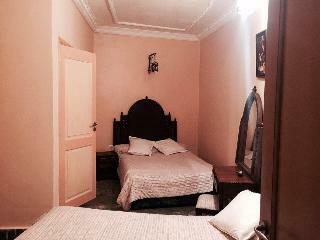 It is situated 500 metres from the Medina and 400 metres from Casablanca railway station. Mohamed V International Airport is some 35 kilometres away. Featuring plenty of rooms that are all designed with traditional Moroccan flair, it boasts a choice of modern amenities such as satellite television. Facilities on-site include a restaurant, where guests may taste an array of delicious spiced dishes and discover Moroccan culinary creations. As for the rest of services, it includes a stunning hammam and spa where travellers will enjoy a moment of relaxation and purification. 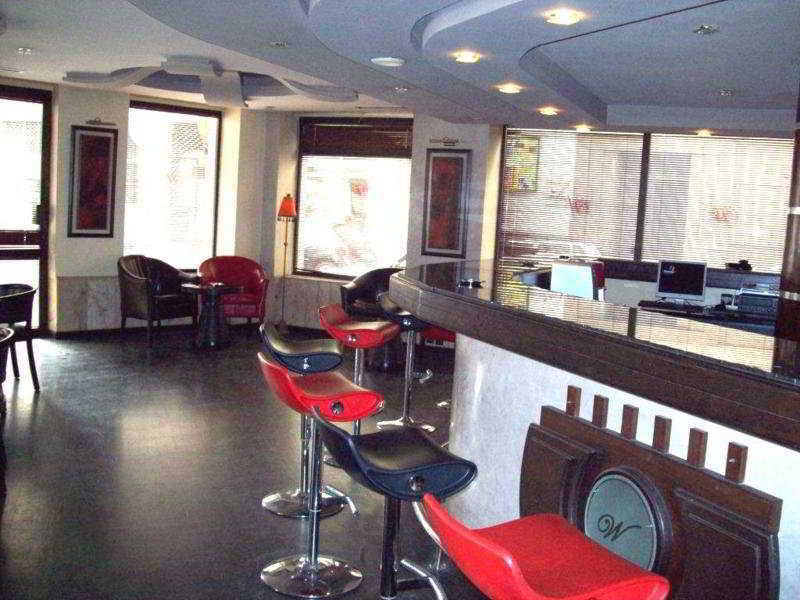 This wonderful, upscale hotel is located in the city centre of Casablanca. The hotel is located within easy access of the many attractions that this stunning city has to offer. Guests will find themselves just a short driving distance away from the Hassan II Mosque. The hotel is situated just a short distance away from Casa Voyageurs Station. This hotel offers visitors a great setting from which to explore this stunning city. The hotel enjoys a beautiful blend of traditional and contemporary influences. The guest rooms are sublimely appointed, featuring modern conveniences. 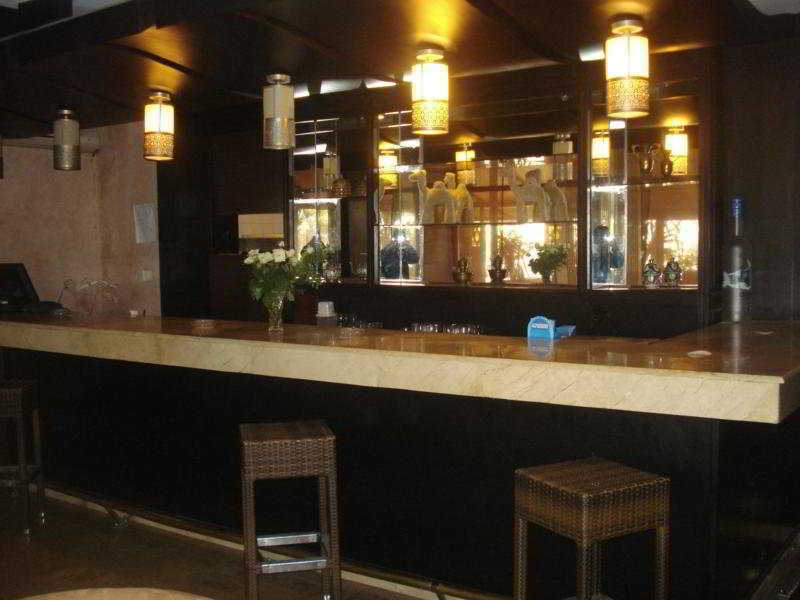 The hotel features a delightful restaurant, where superb dishes can be enjoyed. 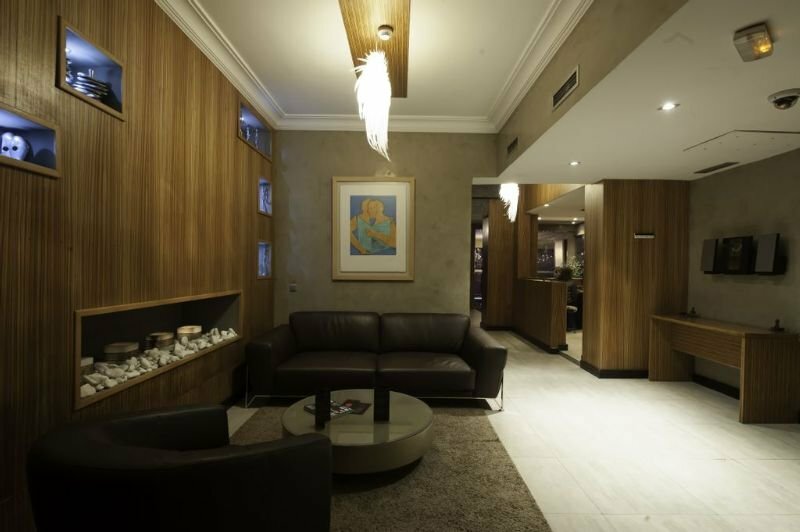 This elegant hotel is ideally located in the centre of Casablanca, close to the shopping and business district. 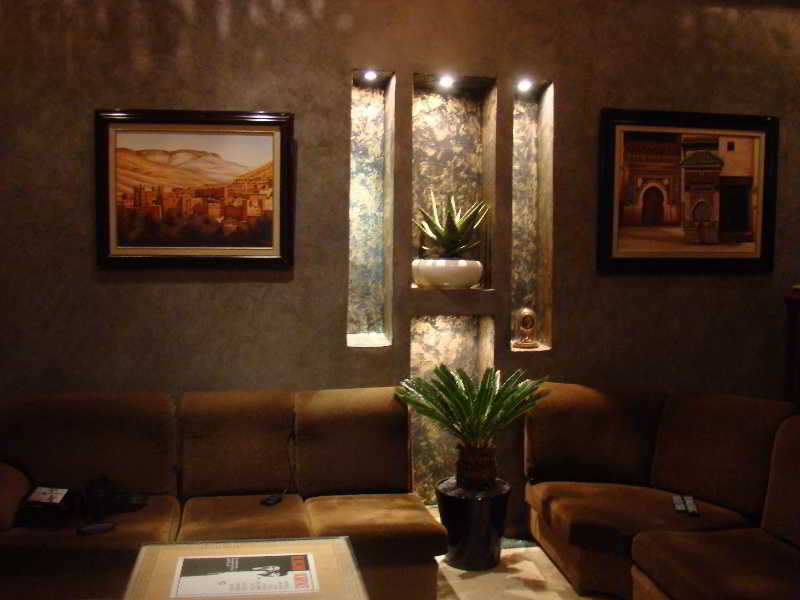 Its spacious and modern Arabic style rooms are air conditioned. The air-conditioned hotel comprises a total of 115 rooms and has a wonderful ambience of calm and sophistication. 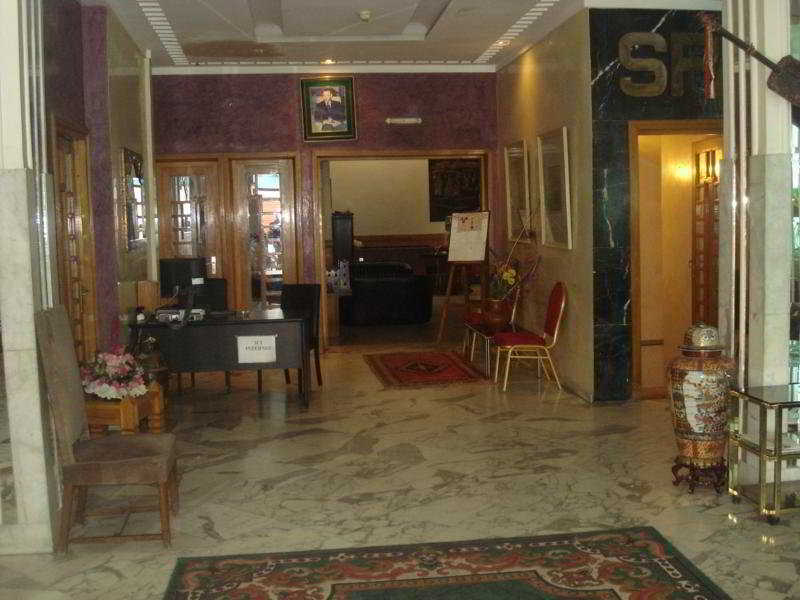 Hotel facilities include business centre and a place to relax after a long day's sightseeing. 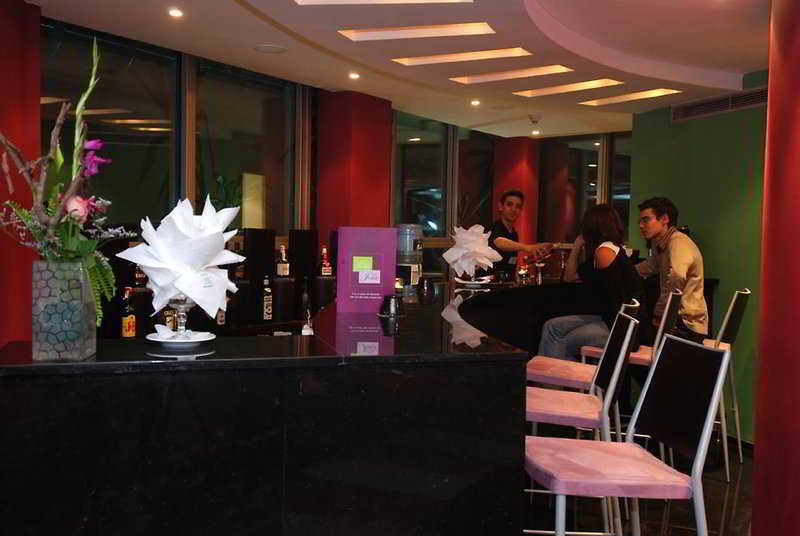 Guests are welcome to make use of the reception desk, the restaurant and various shops. In addition conference facilities and 24-hour room service are available. Airport transfer is also available. The luxurious rooms each come with an en suite bathroom and a balcony. Rooms for smokers are also available. All Rooms are well equipped as standard. The luxury hotel Sofitel Casablanca Tour Blanche enjoys a privileged location in the business district of Casablanca, only a step away from the picturesque medina with its quaint streets. Attractions such as the Palace Mohamed V, government offices, the harbour and Casablanca Marina are within walking distance, while the Hassan II Mosque, spectacularly located by the sea, is within easy reach.The 24-storey hotel boasts an impressive exterior and its interior design harmonically blends French elegance with Moroccan playfulness. Overlooking the ocean and the medina, the luxuriously appointed rooms and suites are decorated in colourful, yet soothing tones and feature all the necessary amenities. Guests can get pampered in the top-class two-storey spa area or enjoy an invigorating work-out in the gym. The sophisticated restaurants serve French and Asian-inspired cuisine. An ideal hotel for those wishing to stay surrounded by luxury and style. This hotel enjoys a great setting at the heart of Casablanca. It is located close to the city centre, where a wealth of shopping, dining and entertainment opportunities can be found. The Old Medina is just a short distance away. Maarif and the Casa Port bus station can be found nearby. The Hassan II mosque is just 1 km from the hotel. Ain Diab Beach is 2 km away. Mohamed V International Airport is a 30 minutes' drive from the hotel. This family-friendly hotel is hailed as one of the most charming properties in the centre of the city. The guest rooms are elegantly styled, oozing character and charm. Guests will be impressed by the broad range of facilities and services that the hotel has to offer. 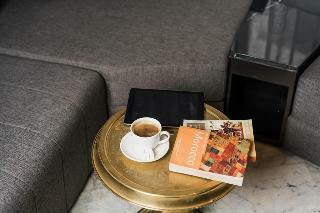 The hotel is situated within Triangle d'Or, a new upscale neighbourhood of Casablanca. 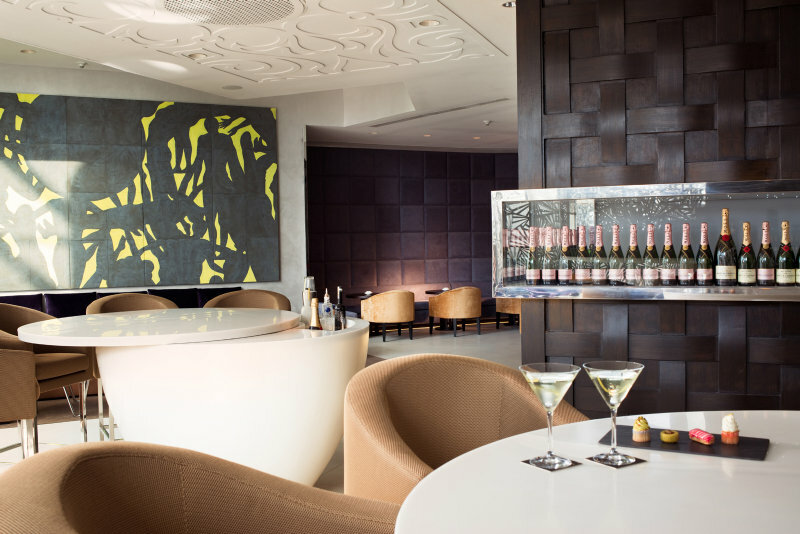 Cosmopolitan and modern, this new luxury hotel is an undeniable part of this ultra-chic urban sphere. Beyond the elegance of its architecture, the hotel & spa indulges all senses with wood, marble and high-tech comfort facilities. Each suite is arranged within a 50 to 120 m² pavilion, with a terrace or balcony overlooking the neighbourhood. 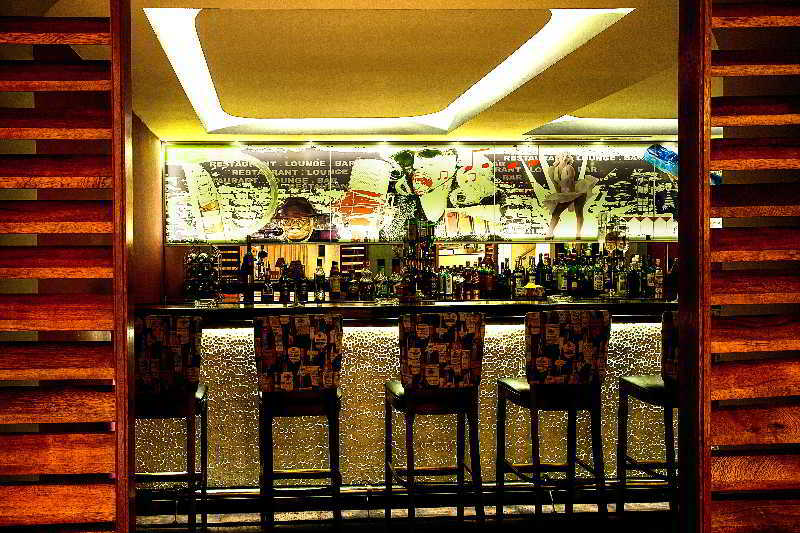 Made of a lounge, a bedroom, a bathroom and a bar area, the pavilions have the much desired feel at home touch. In order to awaken taste buds and please the gourmet, the "Gray" restaurant offers a varied menu of delicious dishes to enjoy in a sober and refined ambiance. Strategically situated in the business district of Casablanca, this delightful hotel offers business and leisure travellers a prime setting in the area. The hotel is located just a 15 minutes' driving distance away from the airport, and is also a short driving distance away from a host of attractions including the Hassan II Mosque, the Aln Diab Coast and the Twin Maarif Centre. The guest rooms enjoy a simplistic style, and provide a relaxing space in which to completely unwind at the end of the day. 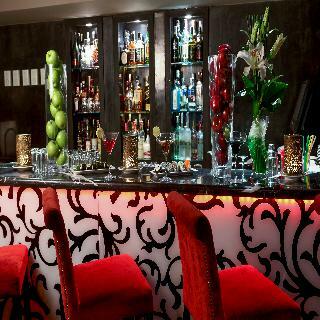 Guests can enjoy delightful tapas in the bar, or enjoy delectable cuisine in the restaurant. The ideal choice for business travellers to the area, this hotel provides facilities catering to the needs of each individual guest. The hotel is located in the city centre, in front of the port of Casablanca and just a few minutes' walk from the business district. It is also situated behind the medina and offers ideal access to the La Corniche and the Casablanca beach. There is a train station in the immediate vicinity, and bars and restaurants within about 100 m. Mohammed V International Airport is around 20 kms from the hotel. The family-friendly hotel has 143 rooms and suites, well-furnished and equipped with modern facilities. Made up of 15 floors, it offers a unique view of the harbour and the Hassan II Mosque. All hotel rooms have an en-suite bathroom and wireless Internet access. Individually regulated air-conditioning also comes as standard. The hotel offers a sauna, and guests can pamper themselves with a massage and SPA treatments. 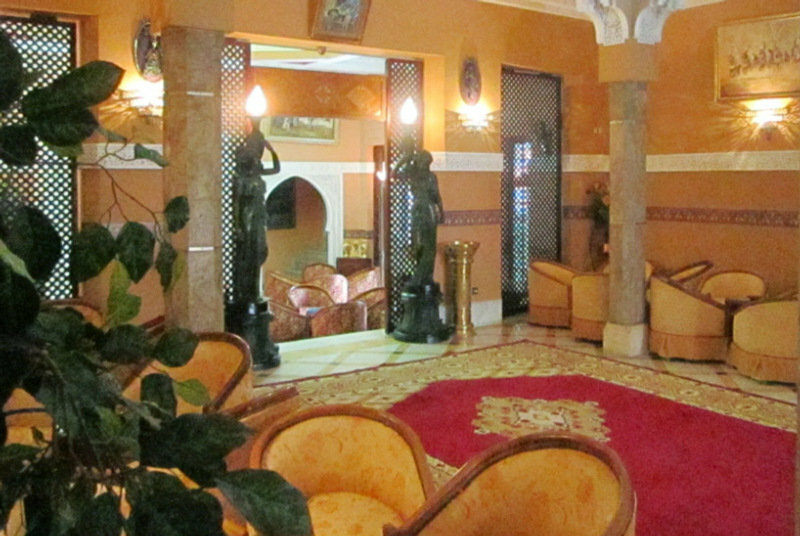 This city hotel is located at the heart of Casablanca, just 1 km from the city centre. The main train station is 1.5 km, Hassan II mosque is 3 km and the Habouss medina is 5 km away. Casablanca Airport is approximately 30 km away. The 16-storey city hotel consists of 184 rooms including 20 suites. Facilities include air-conditioned foyer with 24-hour reception desk, currency exchange, seminar rooms, a hotel bar, an à la carte restaurant offering international dishes and a stylish gourmet restaurant where traditional Moroccan cuisine may be enjoyed to the accompaniment of Oriental music. All rooms feature a king-size bed and the suites are even more spacious and come with separate lounge. Leisure options include a panoramic sun terrace featuring swimming pool, sauna area with steam baths and a massage service, and in-house gym. Located in Casablanca, the hotel provides easy access to Place Mohammed V and Hassan II Mosque, the biggest religious monument in the world. The area is famous for its shopping centres including Centre 2000 and Thema Maison. It is situated in the heart of Casablanca, close to Parc de la Ligue Arabe and also near Cathedrale Sacre Coeur and Casablanca Twin Centre. This charming city hotel offers 45 rooms in total, welcoming guests in an elegant lobby with many facilities. Guests are welcomed to wine and dine in the restaurant, which serves a selection of delicious dishes. This property offers well-appointed accommodation units that are equipped with standard amenities such as air conditioning, cable TV and Internet access. This well-located hotel is one of the best in Casablanca.This family-friendly hotel was built in 2010, offers a total of 25 rooms and welcomes guests in a lobby with 24-hour reception and check-out service. 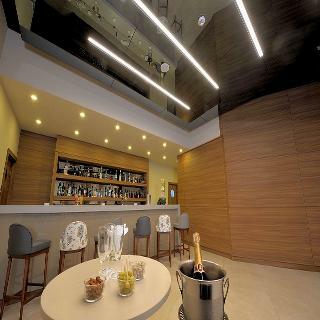 Additional facilities at this air-conditioned design hotel include a hotel safe, currency exchange facilities, cloakroom, lift access, newspaper stand, hairdressing salon, TV lounge, café, bar and a restaurant. Wireless Internet access is available, and room service and a laundry service are offered for a fee. Those arriving by car may leave their vehicle in the hotel garage. The hotel has two adjoining conference rooms on the 1st floor of the hotel. Ideal for business meetings, exhibitions, as a showroom or for a private dinner, they can accommodate 5-70 people. The decor of the rooms is modern, with minimalist furniture, parquet flooring, natural light and soundproofing. Each is equipped with the latest high technology equipment to optimize guests' work sessions. The assistance of a technician may be requested if necessary. The hotel also has a permanent art gallery, the Art Hall.The décor of each air-conditioned suite at hotel is inspired by a celebrity or international icon. All are en suite with a shower and a hairdryer. Amenities include a double or king-size bed, direct dial telephone, flat-screen TV with satellite/cable channels, radio, hi-fi, wireless Internet access and a safe. Espresso machines are provided and there is a DVD player and iPod docking station. Individually regulated heating/air conditioning features as standard, and some suites have a private hot tub, private terrace and a therapeutic bath. 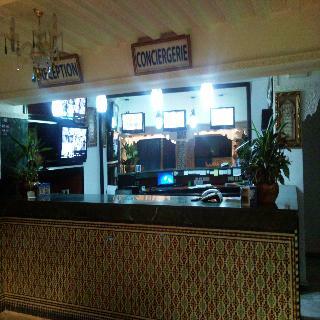 This charming hotel, located in the centre of the town, is just 10 minutes from the railway station and the old medina. This historic hotel, built in 1922 and last renovated in 2000, offers 75 rooms. Fully air-conditioned, the hotel offers facilities including a lobby with 24-hour reception and check-out service and lift access to the upper floors. The conference facilities may be of use to business guests. A laundry service is additionally provided, and those arriving by car may leave their vehicle in the car park or garage. All these beautiful hotel rooms are air-conditioned (individually regulated) and heated and are fitted with contemporary amenities. Each room has a private balcony or terrace. Sun loungers and parasols are provided on the beach. Guests are served a complimentary continental breakfast buffet each morning. Lunch is offered buffet-style or à la carte. The hotel is 3 kms from the beach and Mohammed V International Airport is situated at a distance of approximately 20 kms. 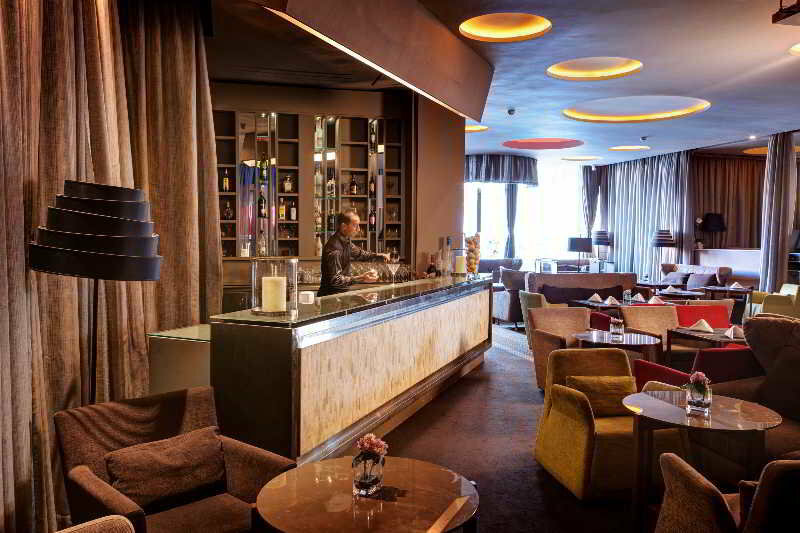 Renovated in 2009, the hotel comprises 50 rooms and welcomes guests in a lobby with 24-hour reception a café and a bar. Fully air-conditioned, the property features a hotel safe, currency exchange facilities, Internet access and a car park. In-room amenities include individually regulated air conditioning, a mini fridge and a balcony. En- suite bathroom, a satellite/cable TV and a safe are provided in all accommodations as standard. The hotel features a spa offering massages, a sauna, a Turkish bath and body treatments. There is also a well- equipped gym at guests' disposal. The Majestic hotel, with its historic façade and sumptuous marble lobby, decorated with beautiful tiles and stucco, is situated in the centre of Casablanca, right next to the train station. The sandy beach is just 3 km away from this exotic hotel, where guests can hire loungers and parasols to relax and sunbathe under the Moroccan sun.The vibrant life on the streets of Casablanca and its exciting culture makes it a very popular destination for families and couples. There are shopping centres and tourist sites at a short stroll from the hotel.The rooms at this charming hotel are very pleasant and comfortable. A continental breakfast buffet is served at the hotel's restaurant every morning, and lunch and dinner are also offered à la carte. The hotel is well connected to the airport, which is roughly 20 km away from the hotel, and the bus station is within a 5 minute walk. The Enasma hotel is located in the heart of Casablanca, Morocco's largest city. It is extremely well connected, minutes away from the bus and train stations, and approximately 20 km away from the Mohammed V International Airport.The hotel is an old building dating from the 1920's, refurbished in 2015 to give it a modern look. It only has 24 rooms, what makes it perfect for families and couples who wish to discover this exotic city and enjoy a quiet and peaceful stay and a close and familiar service. The breakfast buffet is served in the terrace, where guests can relax feeling the warmth of the Moroccan sun.The sandy beach is 2 km away from this historic hotel, and there are plenty of tourist sites to visit in the city centre. The Hassan II Mosque is at a 10 minute walk, and there are numerous shops, restaurants and pubs really at a stone's throw from the hotel. The charming city hotel is ideally located on Boulevard Rahal El Meskini, just a few steps away from the Mers Sultan roundabout. The Medina and Hassan II Mosque are both around a 5-minute drive from the conference hotel and La Corniche beach is 10 minutes away. The family-friendly business hotel is around 30 minutes from Mohamed V Airport.Guests can enjoy a drink at the bar of the hotel and the restaurant of the hotel serves international and Moroccan cuisine. The air-conditioned design hotel offers 102 rooms in total and welcomes guests in a lobby with 24-hour reception and check-out services, a hotel safe, currency exchange facilities, a cloakroom and lift access. Further facilities include a newspaper stand, hairdressing salon, cafe, conference facilities and a car park and garage. For additional fees, guests may also take advantage of the Internet access, and room and laundry services.All rooms are equipped with an en suite bathroom with hairdryer, a double or king-size bed, satellite TV and individually regulated air conditioning and heating. Other in-room amenities include a direct dial telephone, wireless Internet access, a radio, hifi, safe and minibar.The nearby beach is sandy.A continental breakfast is served each morning and set menu and à la carte options are available for lunch and dinner. The hotel is located just a few steps away from Mohamed V Place in the medina, the pedestrian street, Prince Moulay Abdellah, and the Hassan II mosque. Casablanca-Anfa Airport is approximately 35 km away.The air-conditioned city hotel was built in 2010 and has a total of 52 guest rooms. It offers all the necessary amenities for an enjoyable holiday or business stay. Guests are welcomed into a lobby with 24-hour reception and 24-hour check-out services. Facilities at the hotel include a hotel safe, cloakroom and lift access. It also features a breakfast room, public Internet access, room service and a laundry service. Conference facilities are on-hand for business travellers. Those arriving by car may park their vehicles in the hotel's garage or car park.The modern rooms are all air-conditioned and come with a private en suite bathroom with a shower and a bath. Rooms are furnished with double or king-size beds and amenities include satellite TV, Internet access, tea and coffee making facilities and central heating. Each room has its own balcony or terrace.The hotel serves a continental breakfast each morning. The hotel enjoys a very good location in the centre of the city of Casablanca, with restaurants and shops around 1 km away, the bars and nightlife of Ain Diab 5 km away and the main train station 2 km away. Hassan II Mosque is 5 km from the hotel, La Ligue Arab Garden is 2 km away, the beach is a 20-minute drive and the port is roughly 15 minutes by car. Mohamadia is a 45-minute drive from the hotel, Mohamed V International Airport is around 25 km away and the Villa des Arts Museum is 3 km away.Renovated in 2010, this family-friendly city hotel is housed a modern building with a total of 105 rooms, wireless Internet access, room and laundry services and fee-paying parking in the car park or garage. Guests are welcomed to the hotel in a lobby with 24-hour reception and check-out services, currency exchange facilities, a cloakroom and lift access to the upper floors. Guests may wine and dine in the café or restaurant.All the rooms are decorated in a modern style and equipped with an en suite bathroom with shower, bathtub and hairdryer, a double or king-size bed, individually regulated air conditioning and heating, and some have a balcony. Other in-room amenities include a TV, mini fridge, direct dial phone, safe and Internet access.ohamadia golf course is approximately 30 km from the hotel. Sun loungers and parasols can be hired for a fee on the sandy beach.The hotel offers 2 restaurants serving Moroccan and international cuisine. A pizzeria is also available. A continental breakfast buffet is served each morning and set menu or à la carte options are available for lunch and dinner, with meals for special diets and special offers.The hotel is very centrally located, and is approximately a 30-minute taxi ride from Mohamed V International Airport and 10 minutes from Casablanca Voyageurs train station.